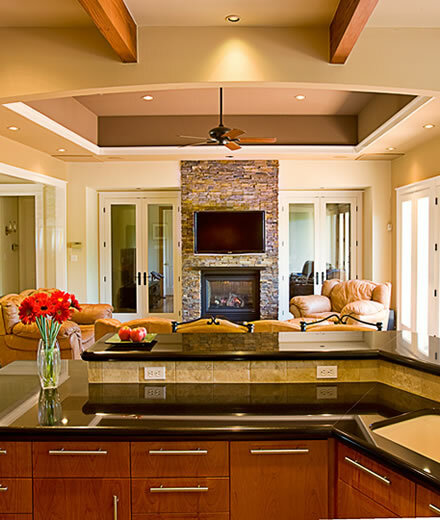 Since 1984, Robert Coe Builders has focused on helping customers transform their homes through professional remodeling. Our careful planning process will ensure your project is done right the first time and within your budget. We assist with product selections that will enhance the value of your home. Projects are scheduled so that work is completed without interruption. You will be given a detail of timelines for the completion of your job. Our experience will ensure your comfort should you choose to live in your home during remodeling. You will have a project manager assigned to your job to oversee the day to day scheduling and supervision of workers. Office staff is also available during business hours. We work toward a zero punch list at completion which means we are constantly monitoring the work to be sure that no items remain to be corrected upon conclusion of your project. If you discover an item that needs to be addressed we will take care of it promptly. We have experience with many of Austin’s best architects and can refer you to them as well as a designer or engineer appropriate for your project. Robert Coe Builders carries general liability insurance for the protection of our clients. Whether you are ready to hire a contractor or are just looking for ideas, we can help. Please contact us for assistance with your remodel. ©2019 Robert Coe Builders, inc.. All rights reserved.